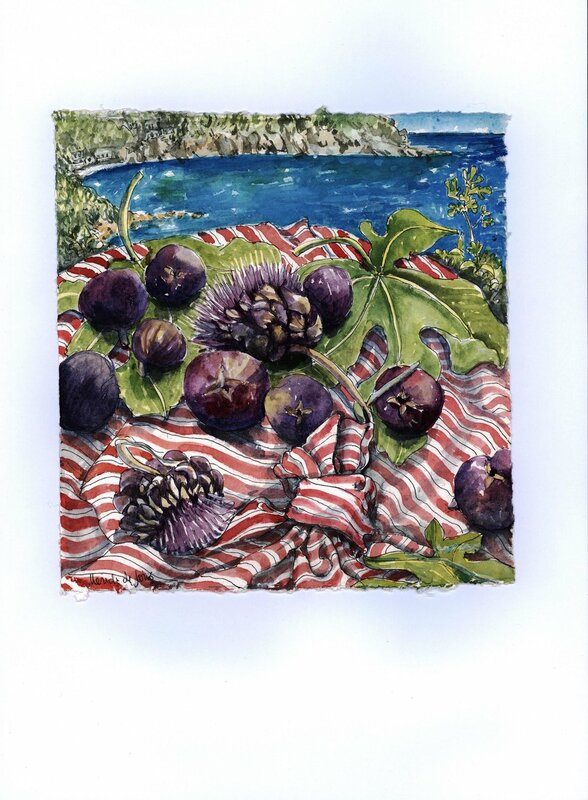 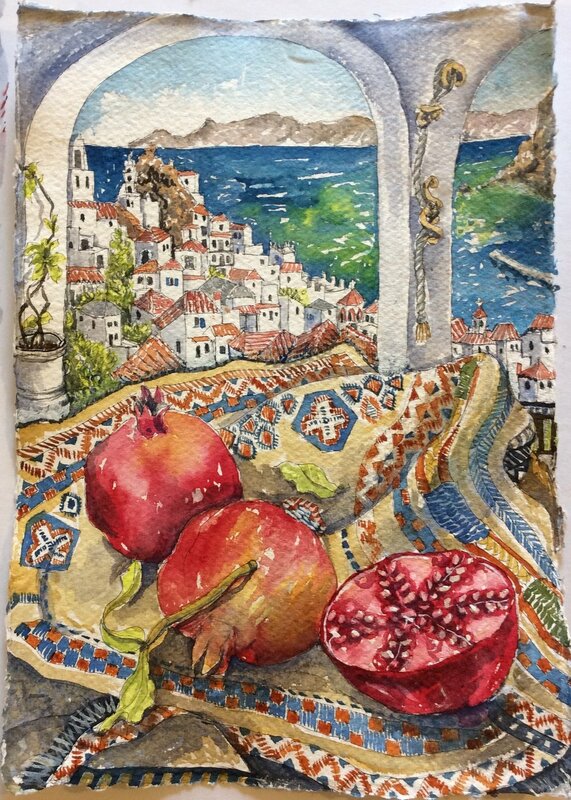 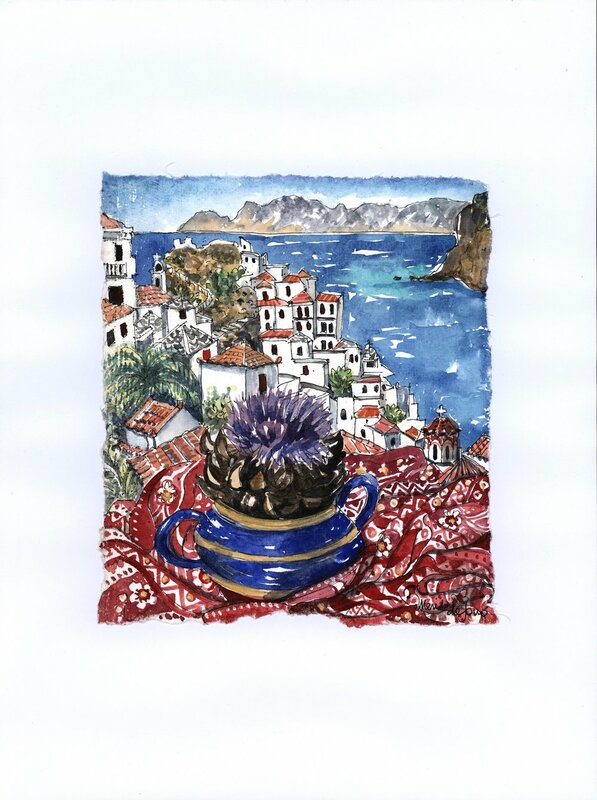 Back in Europe Nerida spent much of the year in Skopelos working on private Commissions as well as a new series of watercolours on handmade paper. 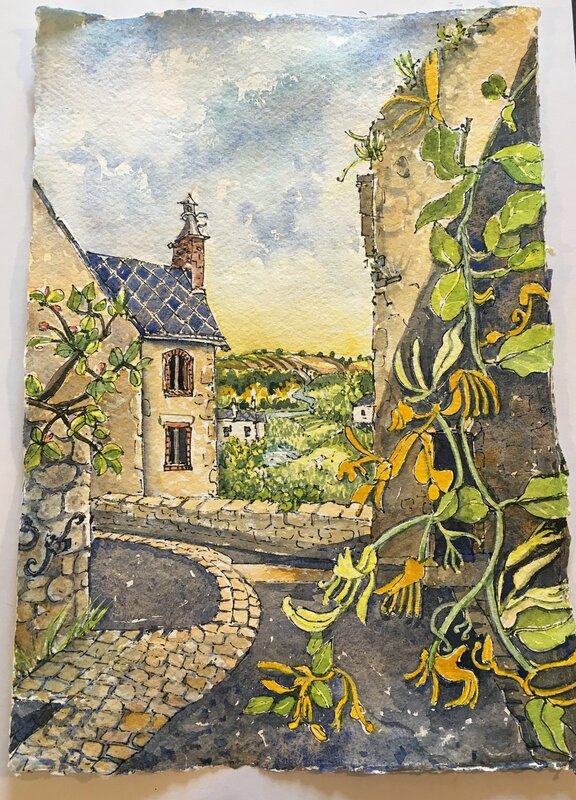 Moving to Northern France for the autumn and winter she has added many beautiful images to the watercolours collection evoking the cosiness and colours of living in the medieval village of Sainte Suzanne..
Click on any image to enlarge and view by sldeshow. 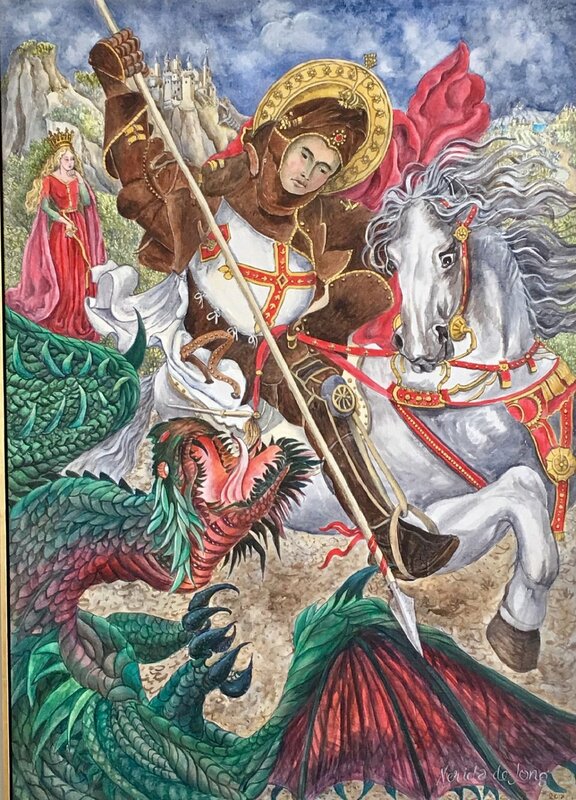 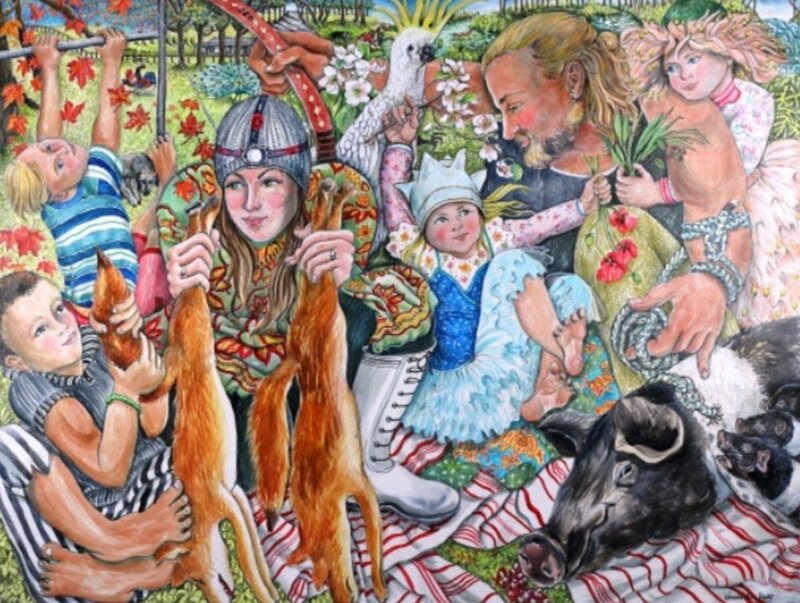 Nerida takes great pleasure from private commissioned work.This year has seen the magnificent St George and the Dragon ,a most revered icon of Greece as well as the playful Cat Whisperer which now resides in the USA. 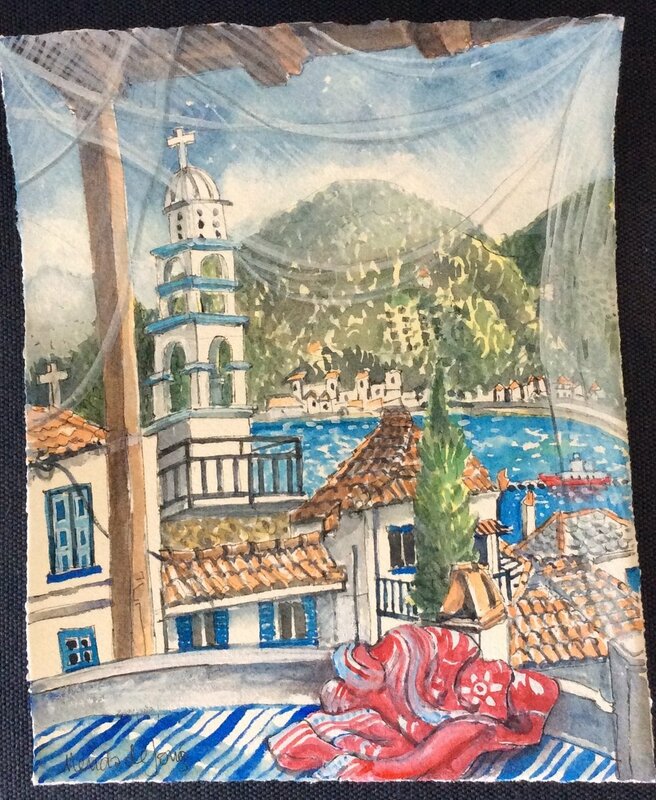 Underwater magic is from Neridas own collection. 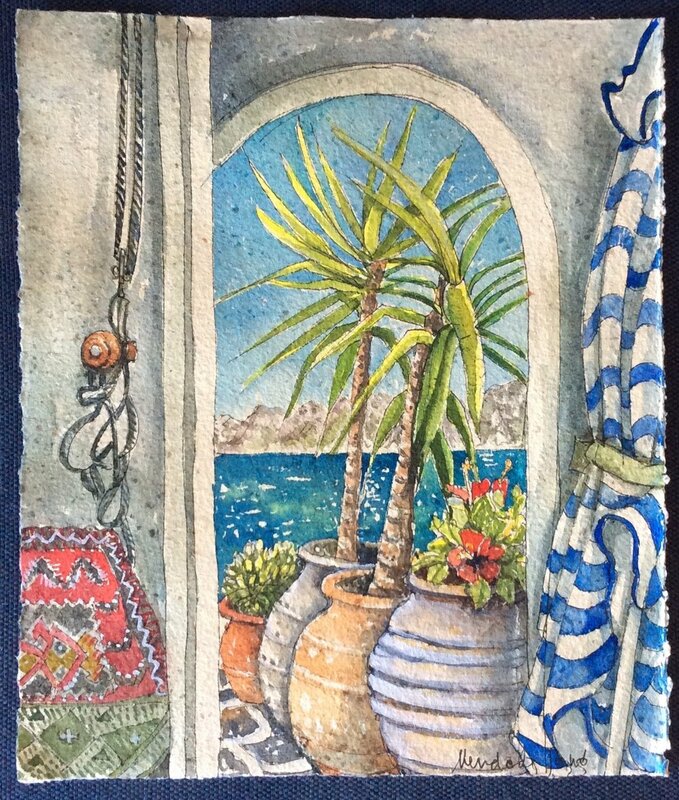 Commissions can be undertaken in watercolours, acrylics or oil paint. 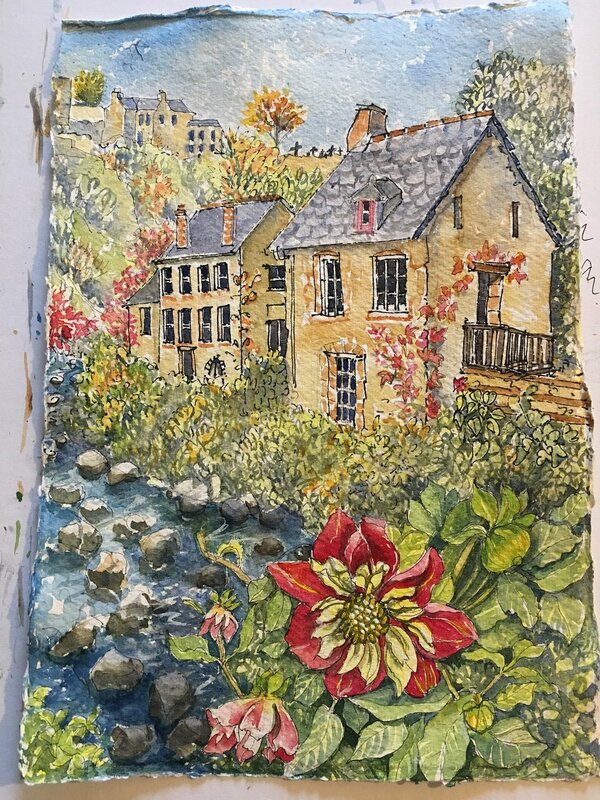 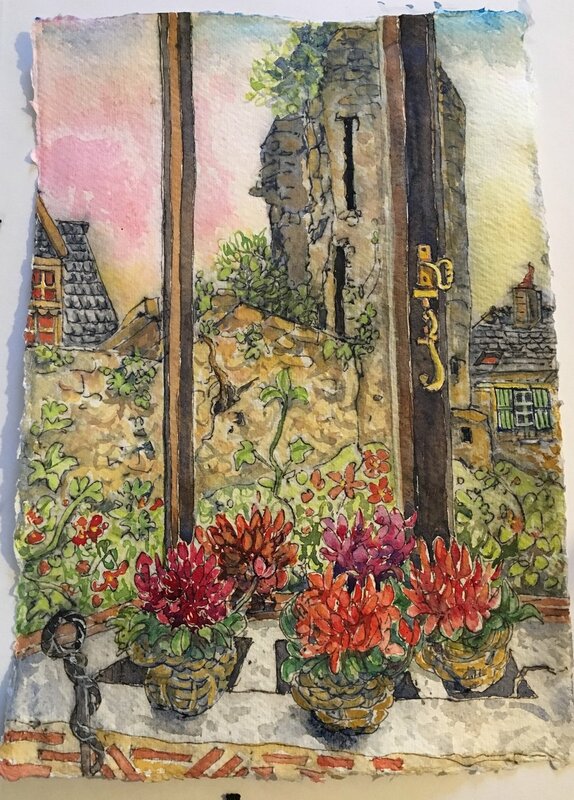 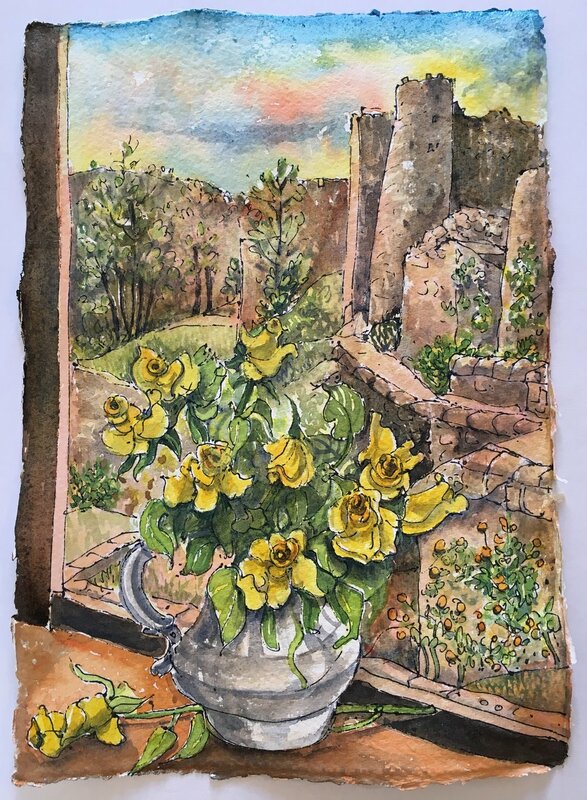 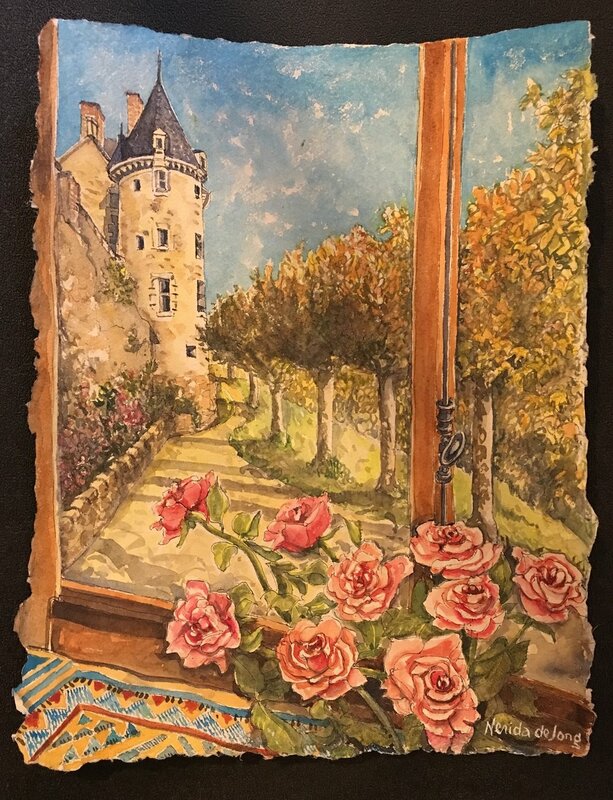 Nerida has been staying in Sainte Suzanne for the Autumn and Winter.This medieval town steeped in history and offering warm and beautiful colours has inspired Nerida to produce these watercolours on handmade paper. 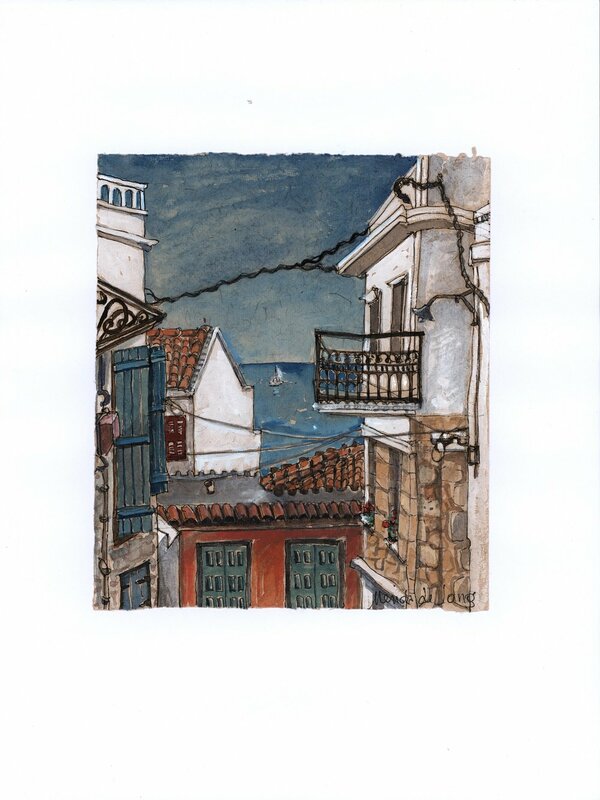 She has also discovered a maker of handmade paper in Sainte Suzanne to complete the happy experience. 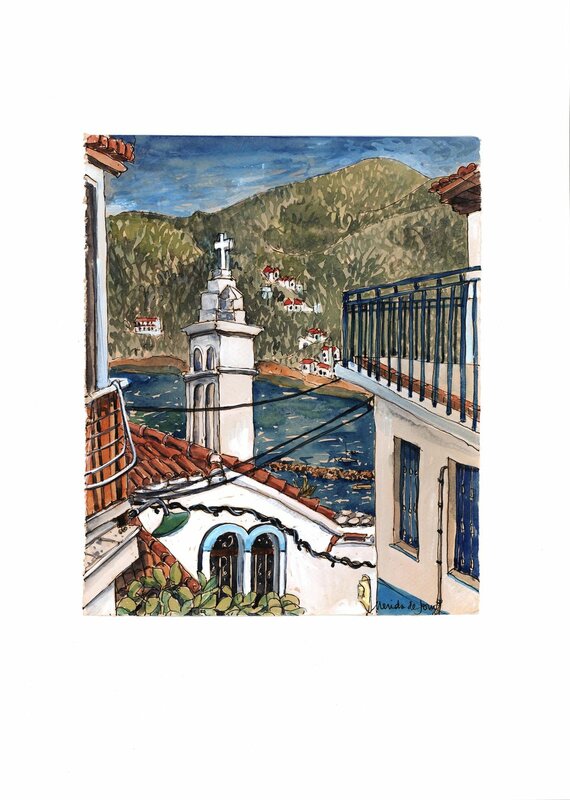 Click on any image to enlarge and view by slideshow.All paintings are for sale and if any are sold it will say so at the foot of the enlarged image.